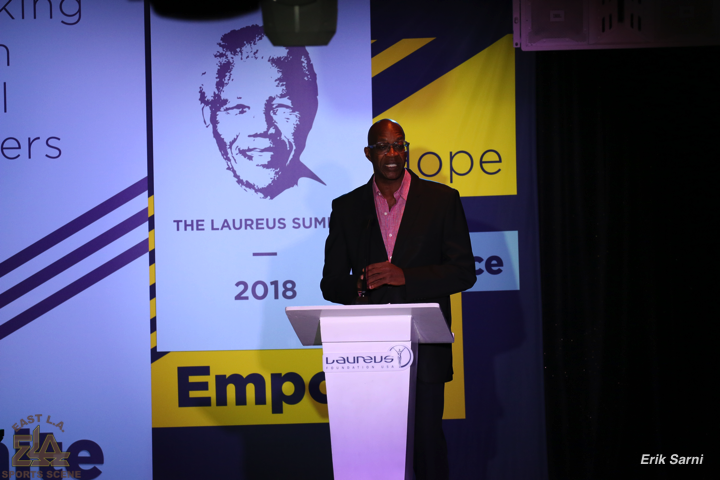 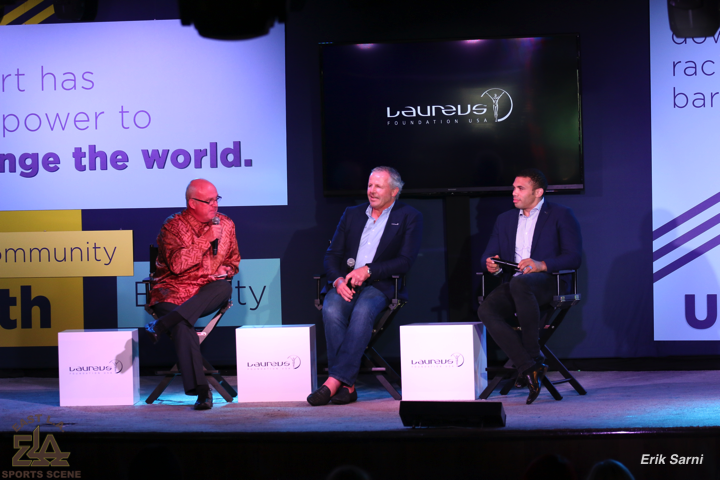 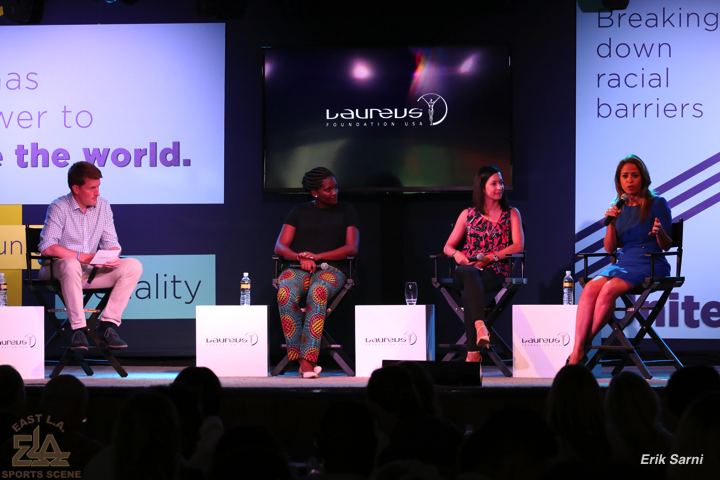 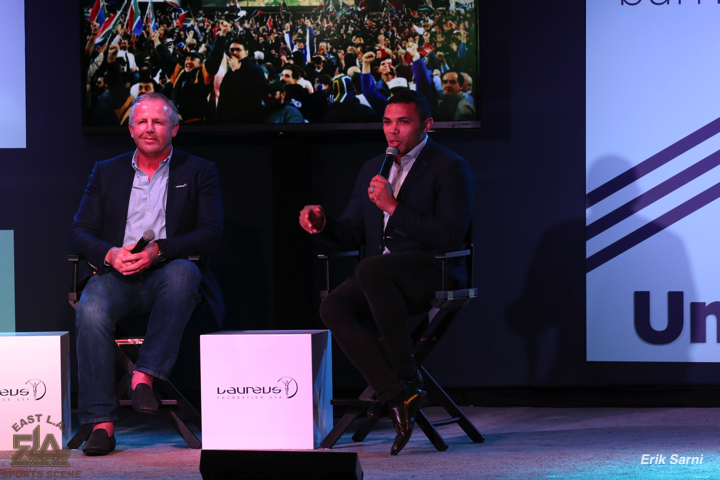 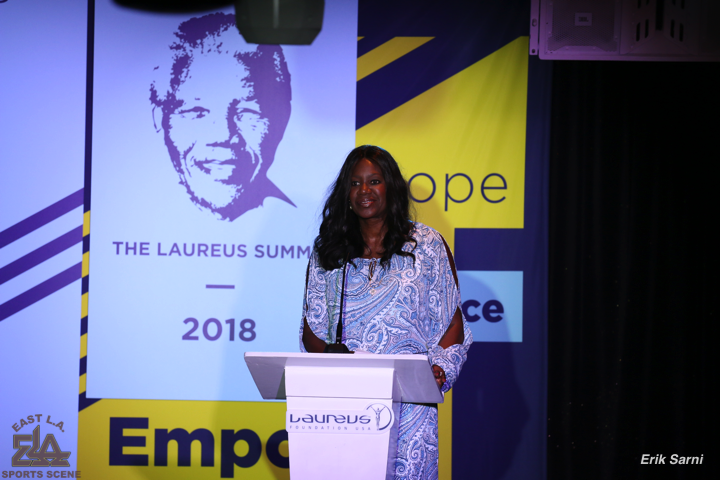 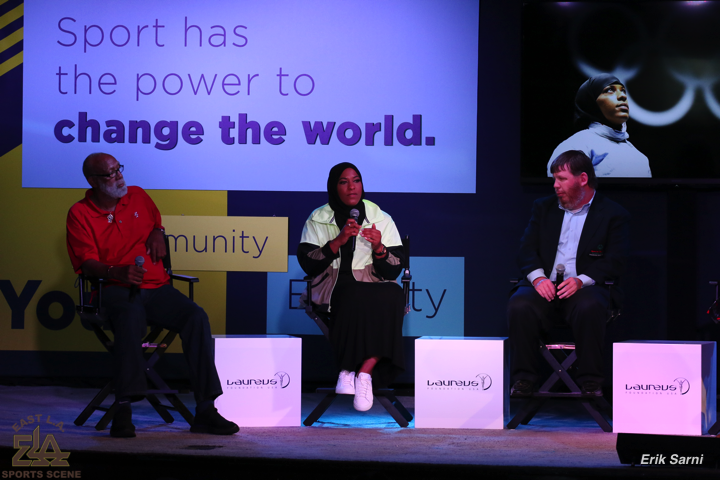 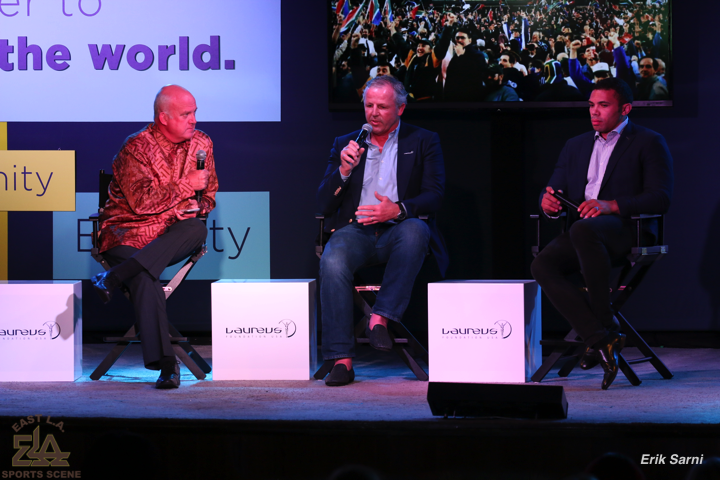 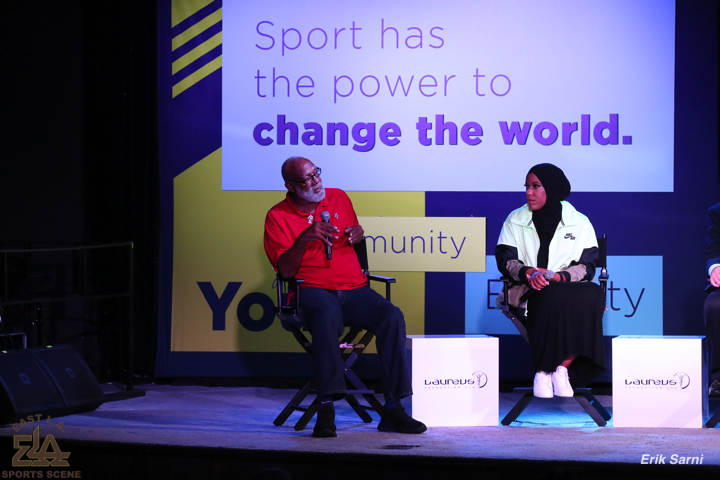 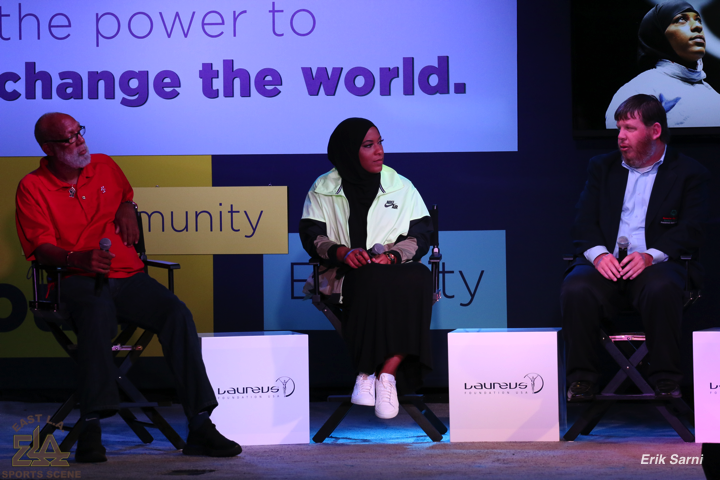 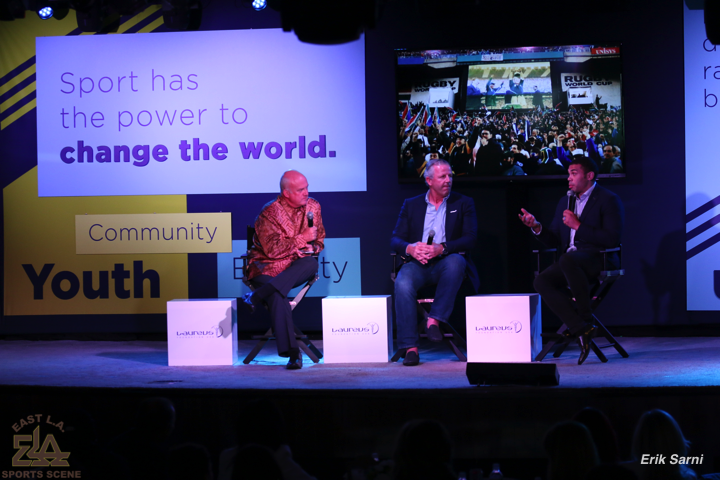 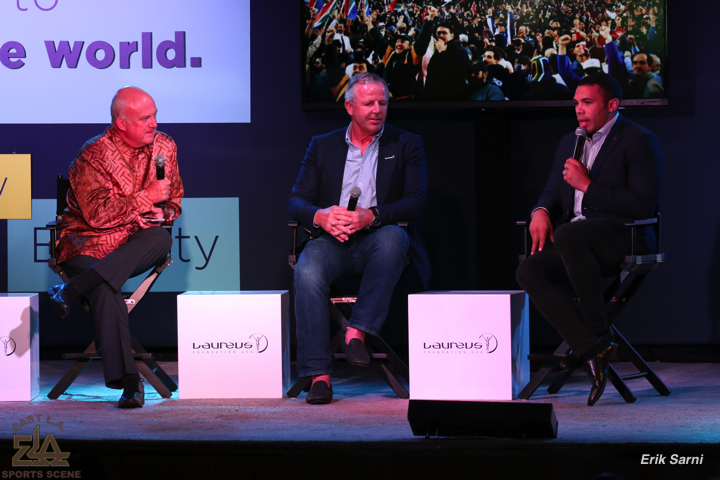 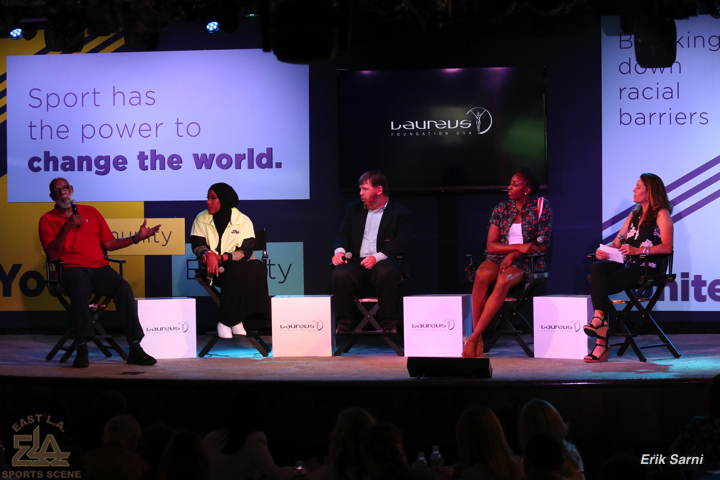 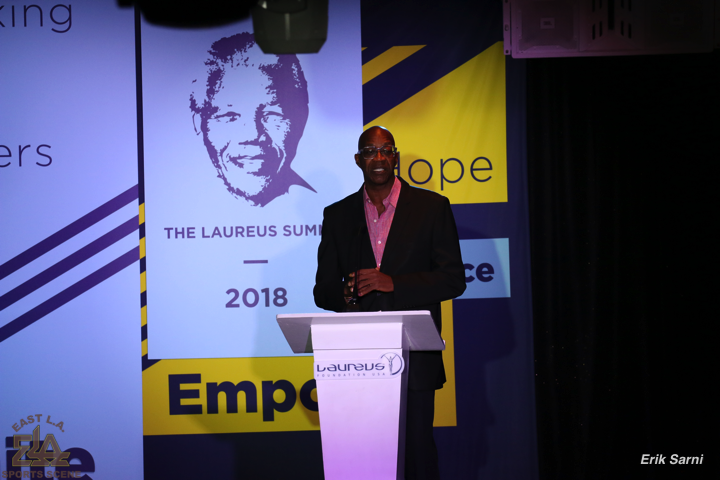 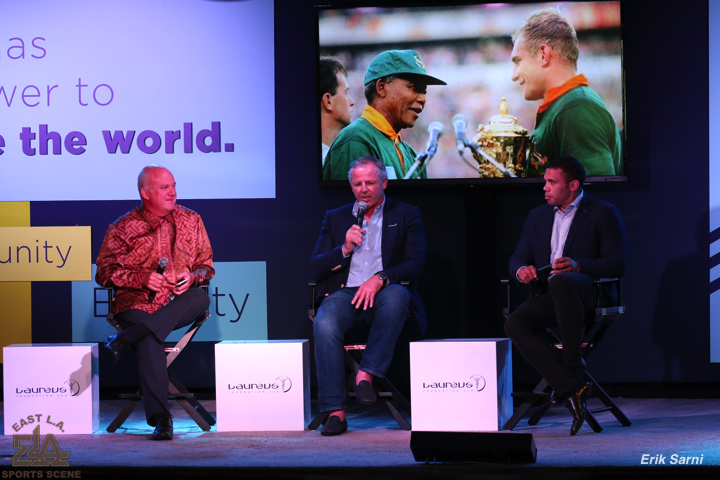 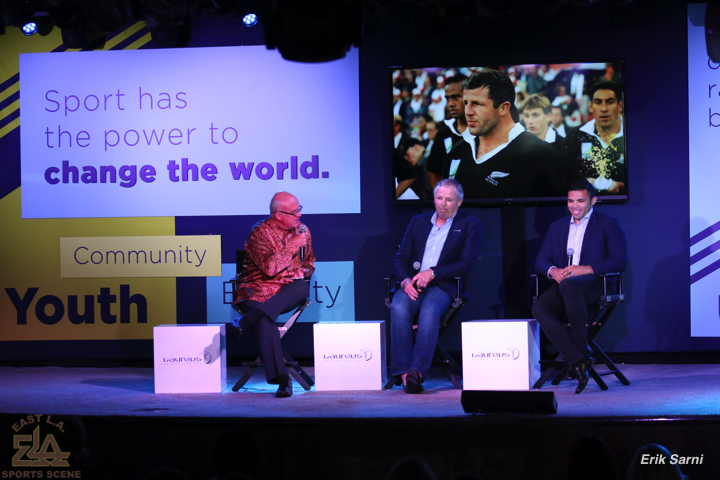 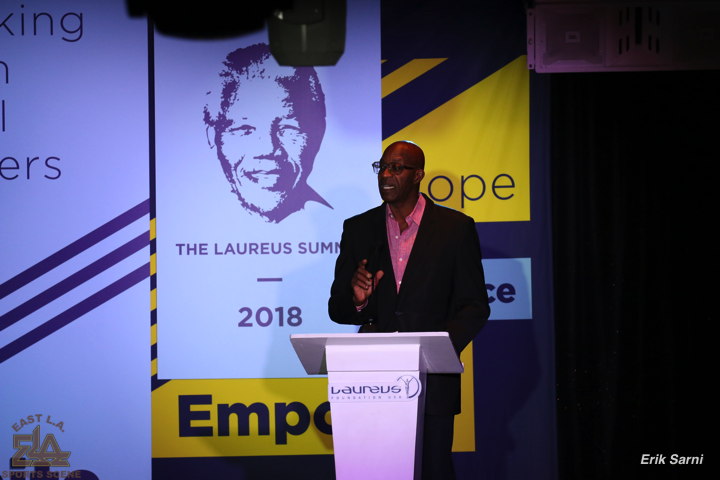 (Los Angeles, CA)–On July 18th, the 2018 Laureus USA Summit drew an enthusiastic and passionate group of attendees from throughout the USA and the world to Los Angeles, the City of Angels, for a dynamic day of learning, networking and the sharing of the Laureus USA Foundation’s goals and principles. 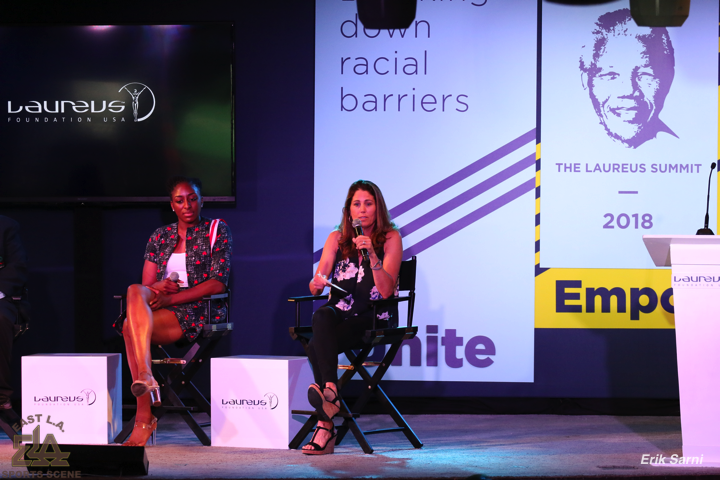 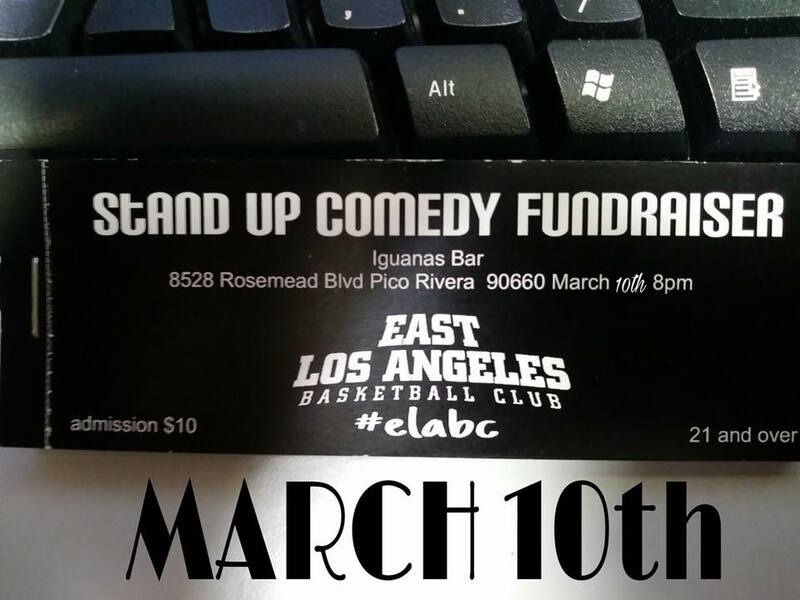 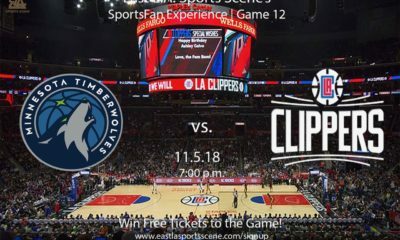 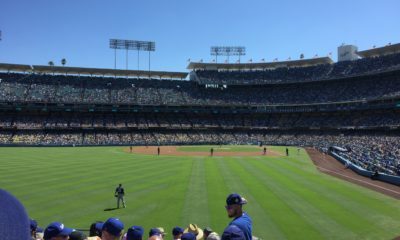 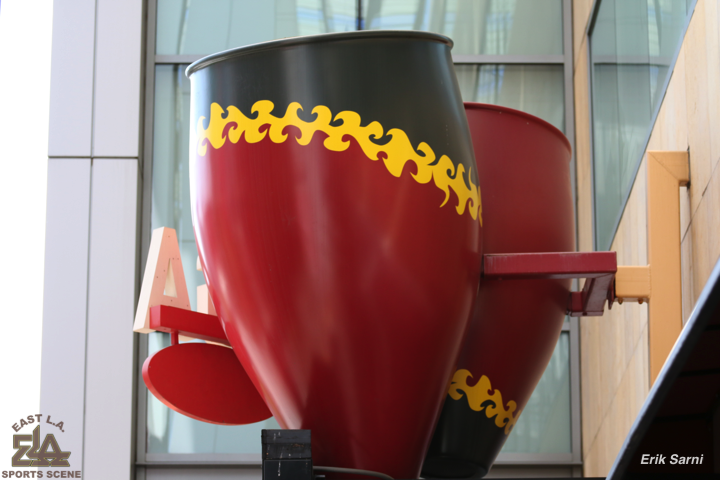 The event, which took place in “L.A. 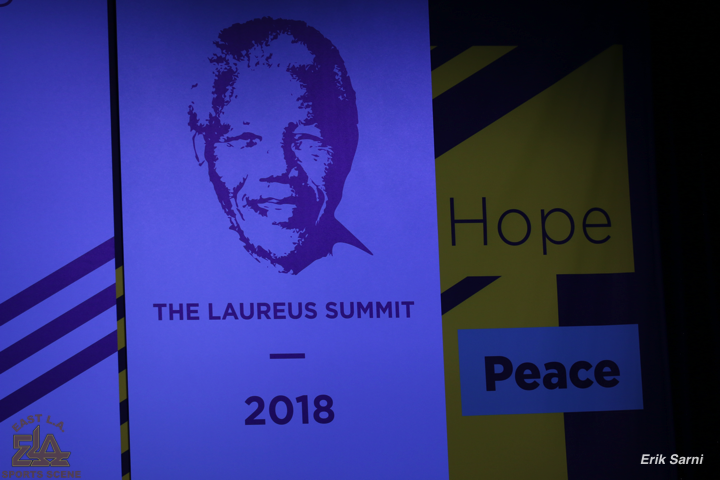 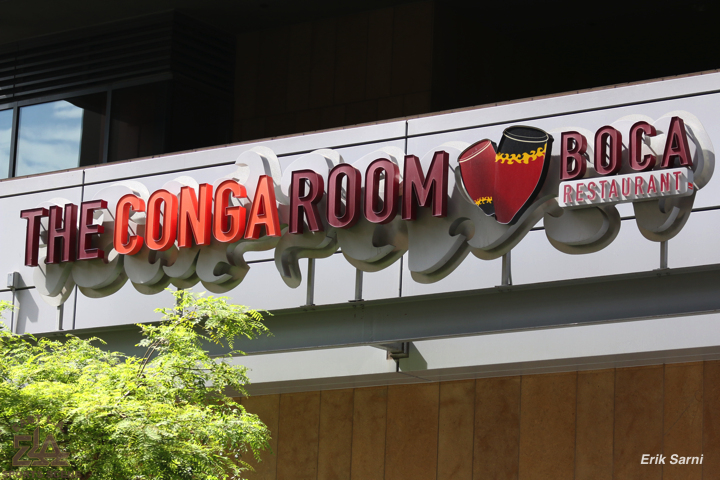 Live’s” Conga Room, coincided with the celebration and commemoration of the 100th birthday of the late Nelson Mandela, a legacy Laureus founding patron, whose now storied quote, “Sport has the power to change the world”, continues to serve as the keen motivator to bring about changes in our daily walks of life and in our social interaction with others. 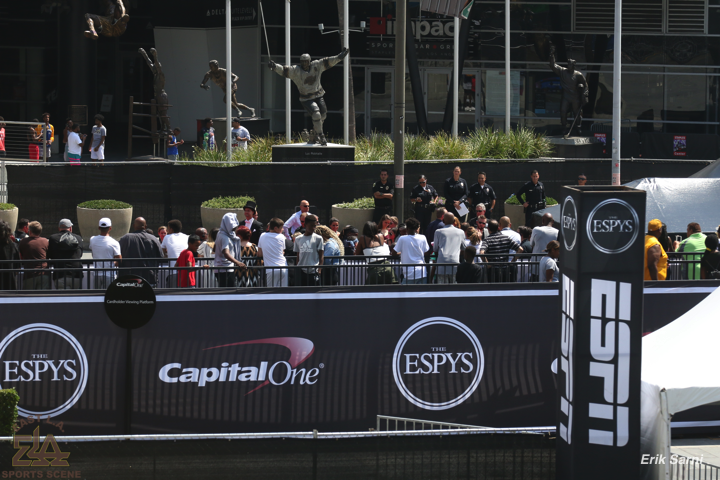 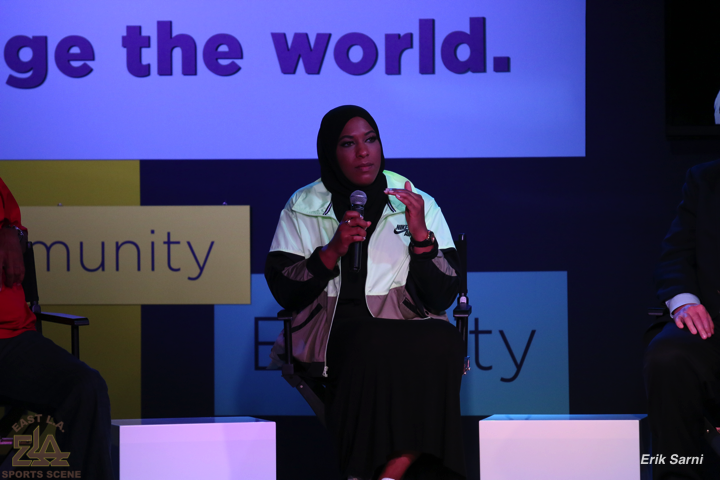 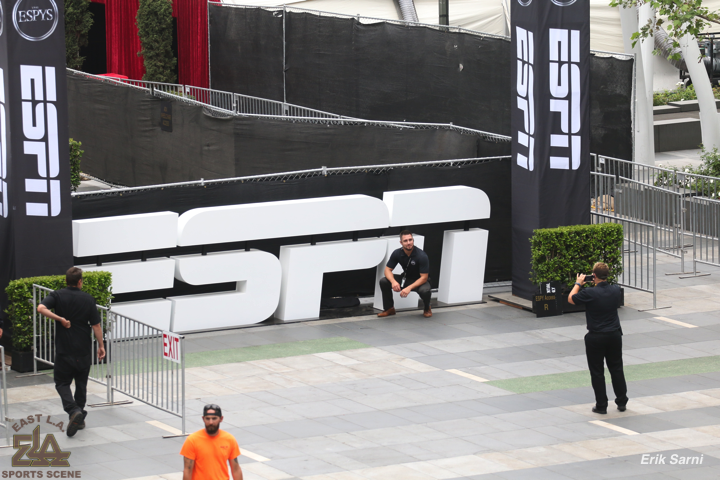 The highly-watched 2018 ESPYS occurred later in the evening and several of the Summit’s participants were also recognized at that time. 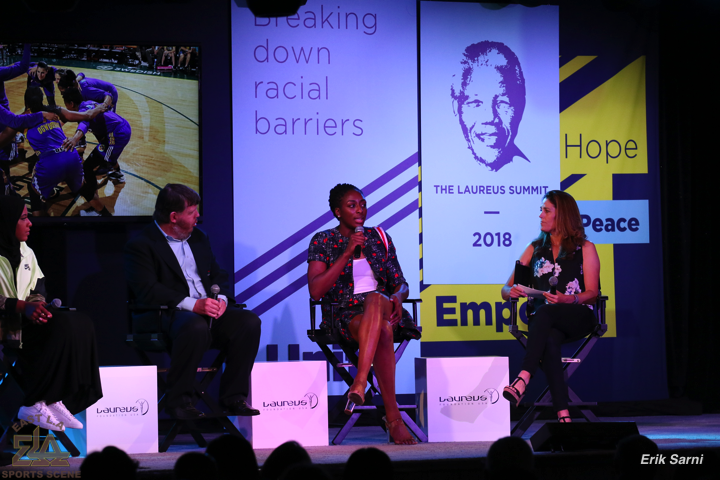 The day-long Summit was presented by ESPN and sponsored by this remarkable group of allied financial supporters: Mitsubishi Financial Group (MUFG), L.A. Sparks/WNBA; Ralph M. Parsons Foundation; LA84 Foundation; and h Los Angeles. 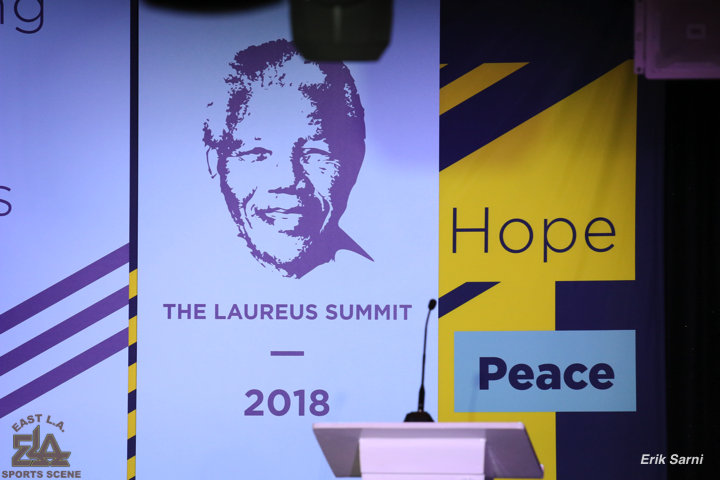 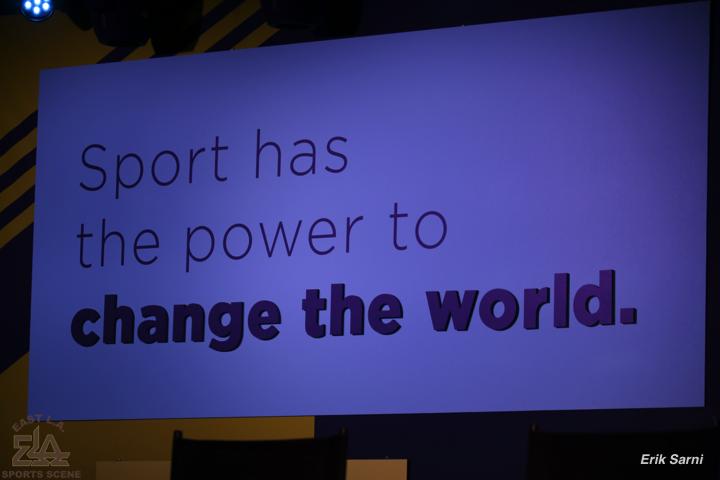 This is a list of the Summit’s panels that addressed the following themes: Plenary: A Global Language– Spotlight on Sport for Development Projects Around the World; The Power of Collaboration – Fostering Collective Impact in Communities; The Athlete Voice – The Rise of Athlete Activism; Sport for Good L.A. – Announcement of Los Angeles as the newest Foundation’s Sport for Good City; Putting Women in the Lead; and The Invictus Story – The 1995 Rugby World Cup Match in South Africa and Nelson Mandela’s Legacy. 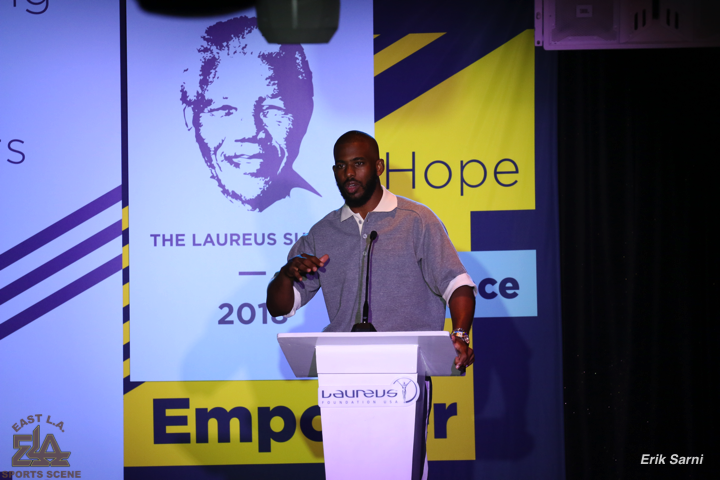 In our production, we will bring to you many proud and dedicated Laureus Ambassadors that we interviewed such as: Chris Paul, Houston Rockets’/NBA All-Star, and President of the NBA’s Players Assoc. 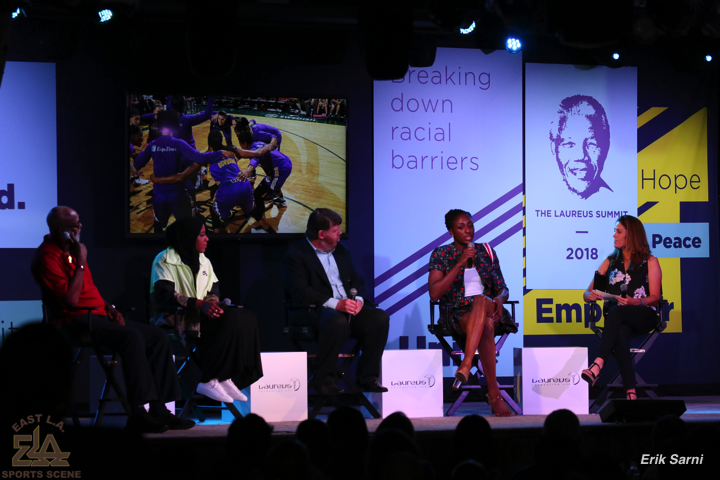 ; Nneka Ogwumike, L.A. Sparks/WNBA All-Star, and President of the WNBA’s Players Association. 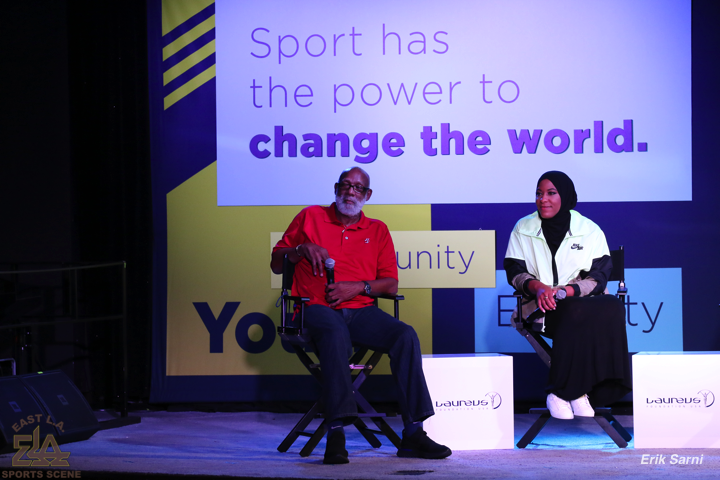 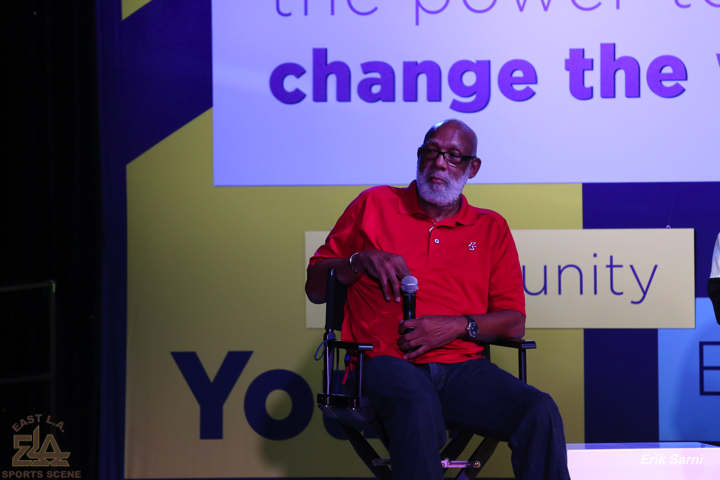 Included were the following USA Olympians: Edwin Moses, (Laureus USA Board Chairman and Track & Field Medalist, Allyson Felix, Ambassador/Track & Field Medalist, Dr. John Carlos, Ambassador/Track & Field Medalist, Meghan Duggan, Ambassador/Ice Hockey Medalist, and Benita Fitzgerald Mosley, Laureus USA/CEO and Track & Field Medalist. 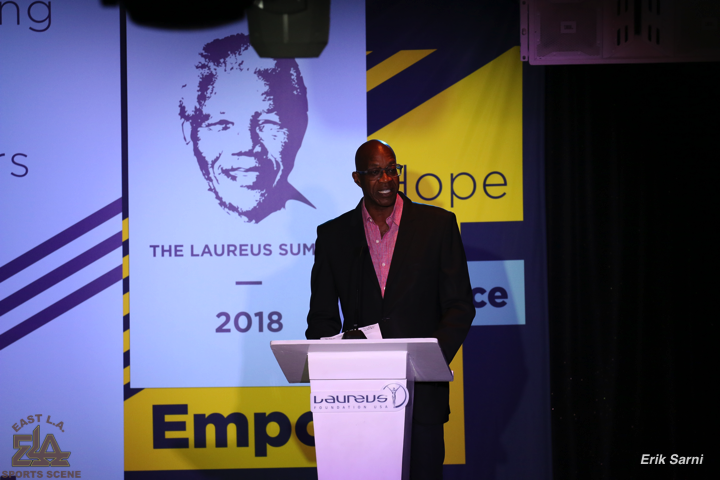 At the end of the day, the Laureus Summit was very honored to have brought this outstanding group of participants to one of the major metropolitan sports epicenters in the country, if not the world. 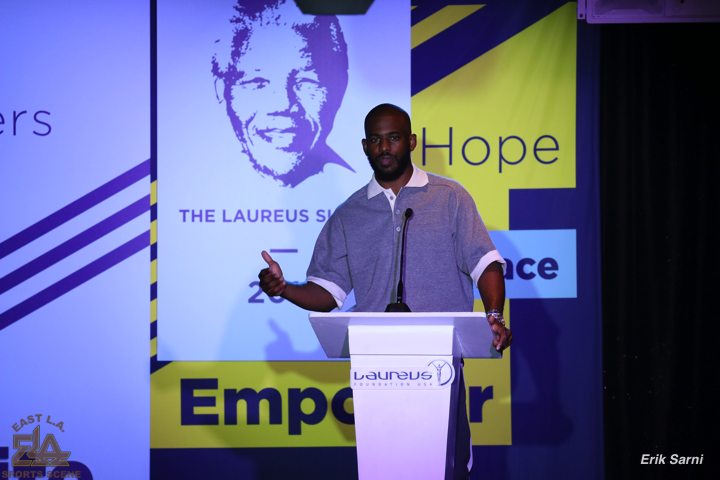 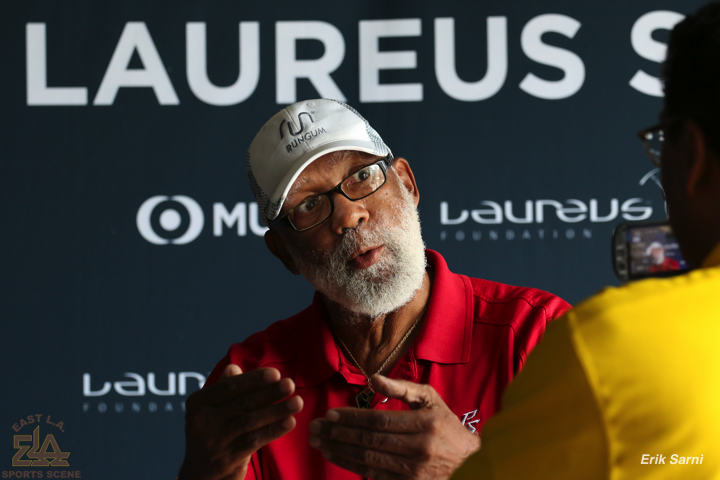 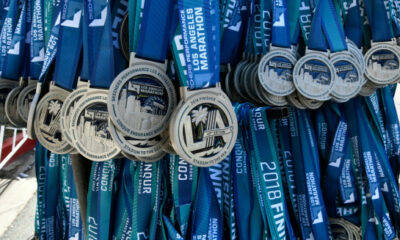 For more information on the Laureus USA Foundation, click here. 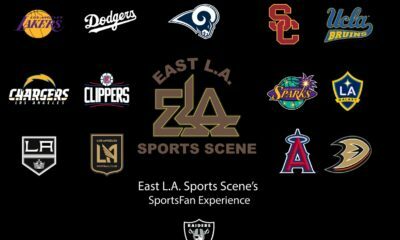 To visit their Social Media platforms, click the links below. 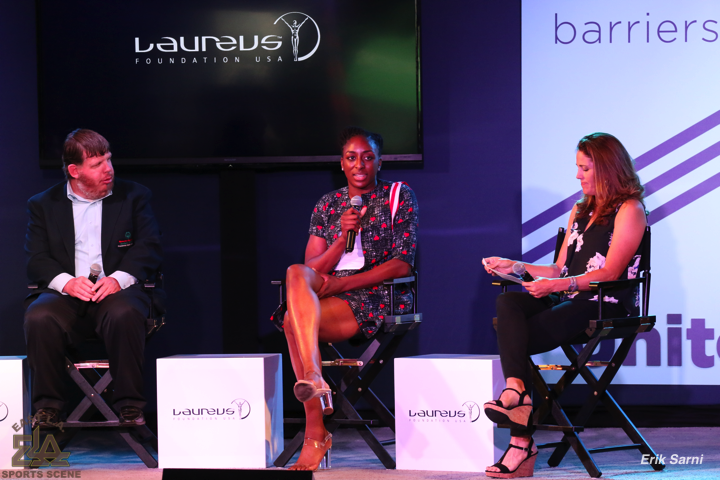 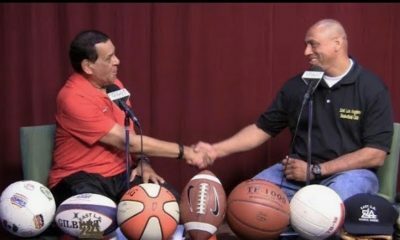 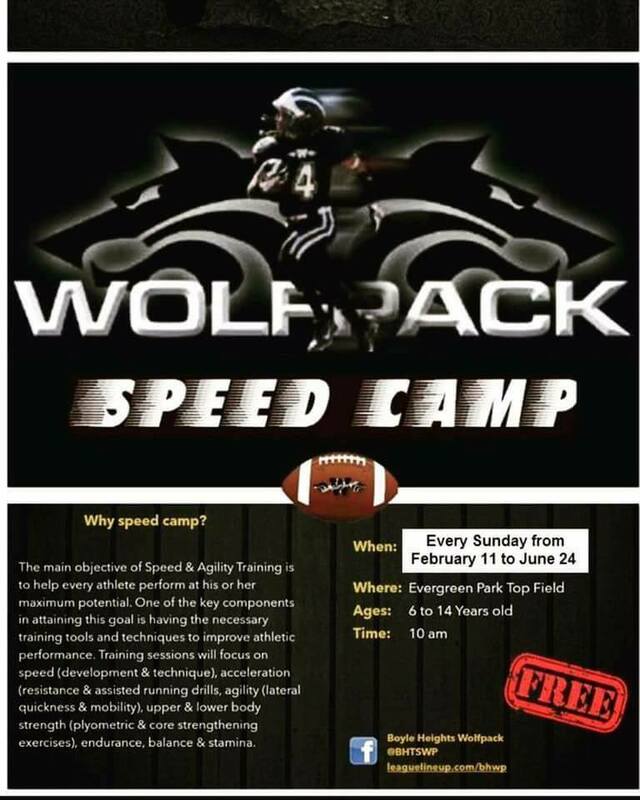 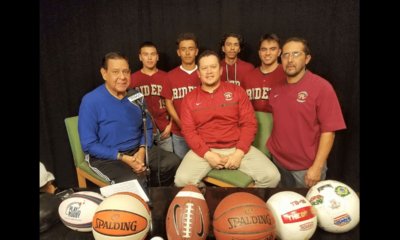 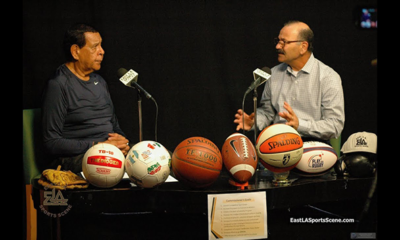 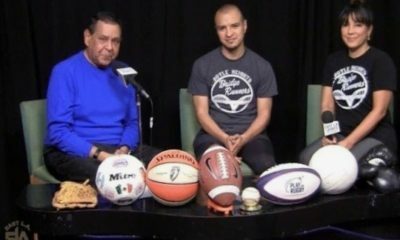 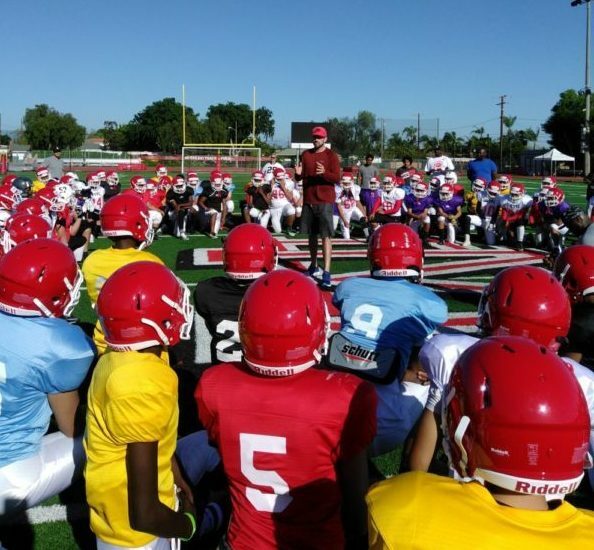 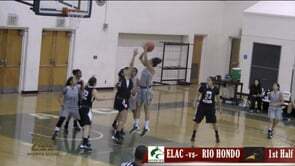 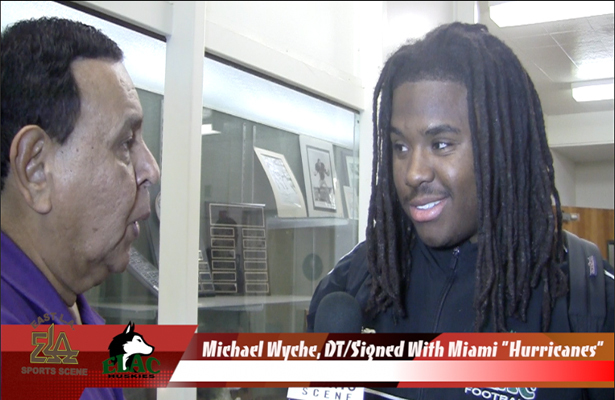 Media Credits: Opening Video & Photo Gallery, The Laureus USA Foundation and Erik Sarni, East L.A. Sports Scene Productions.